We all know the benefits of a good customer loyalty scheme. It gives our clients an effective way to improve their customer retention levels, and it means Kobas can track customer behaviour. Customers benefit so long as they are rewarded for participating in the scheme. Obvious benefits are monetary discounts, but the Kobas customer loyalty system allows a greater level of interaction between serving staff and the end customer, which leads to a more rewarding experience for everyone. 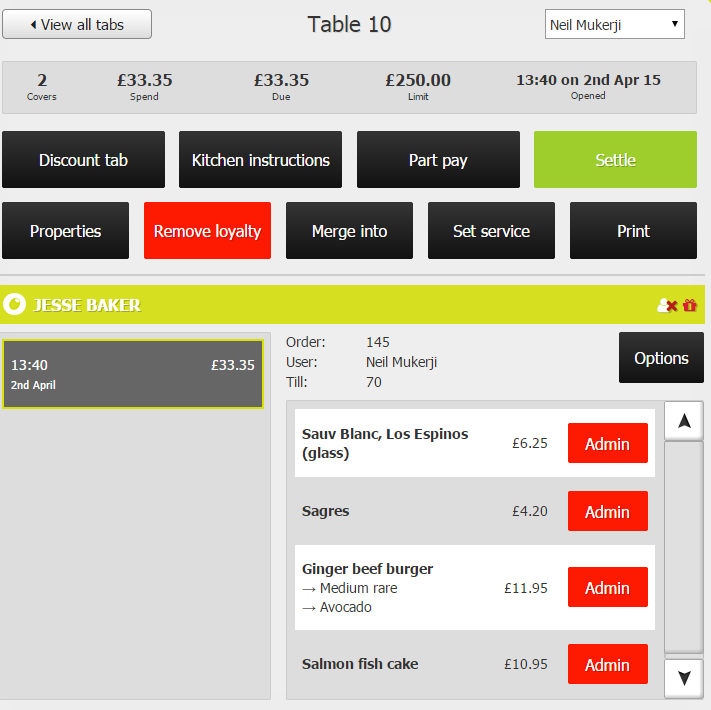 When a customer scans their loyalty card or code, Kobas adds a customer bar to the EPoS basket with their name and information. This means you can immediately refer to the customer by name. It’ll also mean they are associated with their tab. 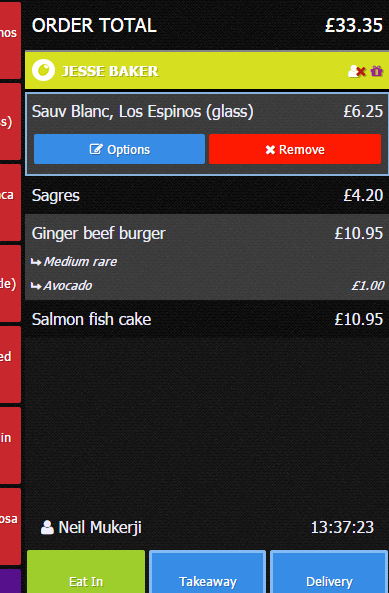 To see more information on a customer, simply tap the yellow bar. 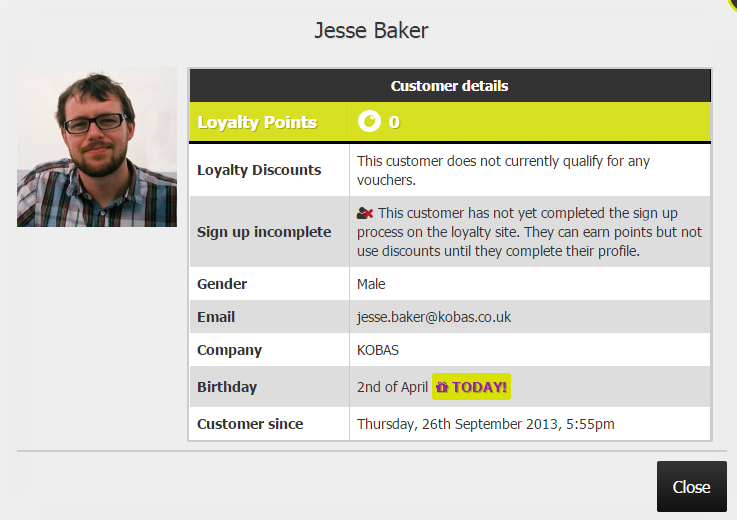 Kobas will highlight if the customer’s birthday is today, yesterday or tomorrow. It will also display key information such as how long they’ve been a customer, how many points they’ve accrued, and any discount vouchers available to them.